Does your knowledge of the Old Testament feel like a grab bag of people, books, events and ideas? How many times have you resolved to really understand the OT? To finally make sense of it? Perhaps you are suffering from what Sandra Richter calls the "dysfunctional closet syndrome." If so, she has a solution. Like a home-organizing expert, she comes in and helps you straighten up your cluttered closet. Gives you hangers for facts. A timeline to put them on. And handy containers for the clutter on the floor. Plus she fills out your wardrobe of knowledge with exciting new facts and new perspectives. The whole thing is put in usable order--a history of God's redeeming grace. A story that runs from the Eden of the Garden to the garden of the New Jerusalem. Whether you are a frustrated do-it-yourselfer or a beginning student enrolled in a course, this book will organize your understanding of the Old Testament and renew your enthusiasm for studying the Bible as a whole. "The Old Testament tells of God's creation and the redemption of his people. Granted, it is a story that climaxes in the New Testament, but the New Testament cannot be understood apart from the Old. Christians have neglected the study of the Old Testament because (if we are honest) we find it confusing and distant from Jesus Christ, the center of our faith. 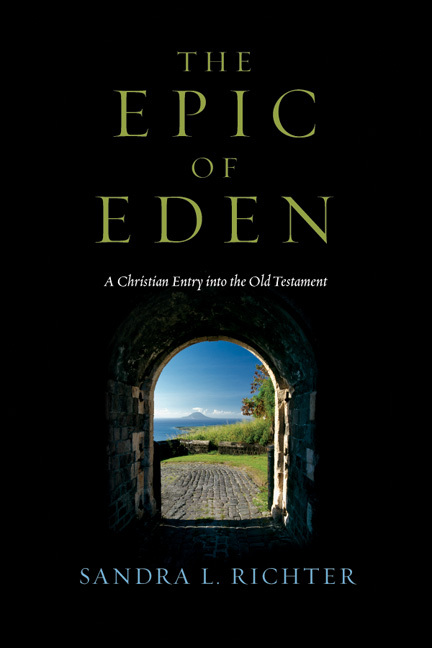 Sandra Richter's The Epic of Eden helps the reader discover the riches and passion of the Old Testament story. This book will not only expand your knowledge, it will deepen your spiritual life." "Here is a text that will instruct its readers, no matter what level of expertise they bring to it. The author converses with her contemporary lay reader in a winsome manner, knowing well the cultural chasm that exists for many Western readers of the OT. At the same time, her years as both graducate student and professor are evident in her selection and presentation of key themes that introduce the OT. Both the text and the endnotes are goldmines of historical and theological observations and resources." "A helpful first entry point into the OT." "Using the image of a dysfunctional closet as her organizing metaphor, she provides a framework within which Old Testament data can be arranged and understaood. Wherever possible she links the biblical material with the New Testament references. Extensive endnotes are evidence of the research that undergirds this book, but the writing style is reader-friendly and captures one's imagination. Charts and illustrations throughout the book provide visual reinforcement of what is discussed. This is a very enjoyable introduction for beginners." "Second only to my visiting Israel is The Epic of Eden in bringing the words of the Bible to life for me, at least as regards our watered-down understanding of the immensely important Biblical and historical concepts of covenant and redemption. . . . For anyone who needs to clean their Old Testament closet, The Epic of Eden is a wonderful organizational tool." 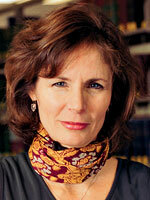 Sandra L. Richter (PhD, Harvard University) is Robert H. Gundry Chair of Old Testament Studies at Westmont College. She is a graduate of Gordon-Conwell Theological Seminary and Harvard University's Near Eastern Languages and Civilizations department, and she previously was a professor of Old Testament at Wheaton College. Her publications include The Deuteronomistic History and the Name Theology and articles in Eerdmans' Handbook to the Bible and Dictionary of the Old Testament: Historical Books.